Tracy Richelle High is a member of S&C’s Litigation Group and of its Criminal Defense and Investigations practice. A partner of the Firm since 2008, Ms. High’s practice focuses on representing financial institutions and other corporations in complex civil litigation, including shareholder derivative and class action suits, regulatory enforcement proceedings and corporate internal investigations. She has represented clients responding to regulatory requests and inquiries initiated by the U.S. Senate Permanent Subcommittee on Investigations, U.S. Department of Justice, U.S. Securities and Exchange Commission, Federal Trade Commission, National Association of Securities Dealers, Internal Revenue Service, New York State Banking Department, the Office of the New York State Attorney General, New York Stock Exchange, Philadelphia Stock Exchange, Chicago Board of Examiners, New York County District Attorney’s Office and independent examiners appointed by court order. Ms. High serves as co-chair of the Diversity and Women’s Initiative Committees, the Associate Development partner for the Litigation Group and one of S&C’s hiring partners. Ms. High also oversees S&C’s active networks for minority associates: the Asian Associates Network, the Network of Black & Latino Lawyers and the LGBT Network. Each of these groups is dedicated to enhancing the experience of S&C’s diverse attorneys and championing their retention and advancement by fostering professional development, networking and mentoring opportunities. Externally, Ms. High is a member of the board of directors of the Lawyers’ Committee for Civil Rights Under Law, New York City Bar Justice Center, Partnership for After School Education, YWCA-NYC and Harvard Law School Association, New York City chapter. 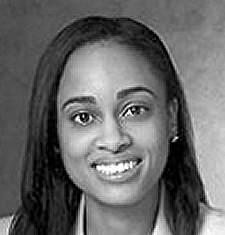 She also serves on the Steering Committee of the Kate Stoneman Project, is a Trustee of the Federal Bar Council and is a member of the Association of Black Women Attorneys and Metropolitan Black Bar Association.